enjoy Cordoba or do business. 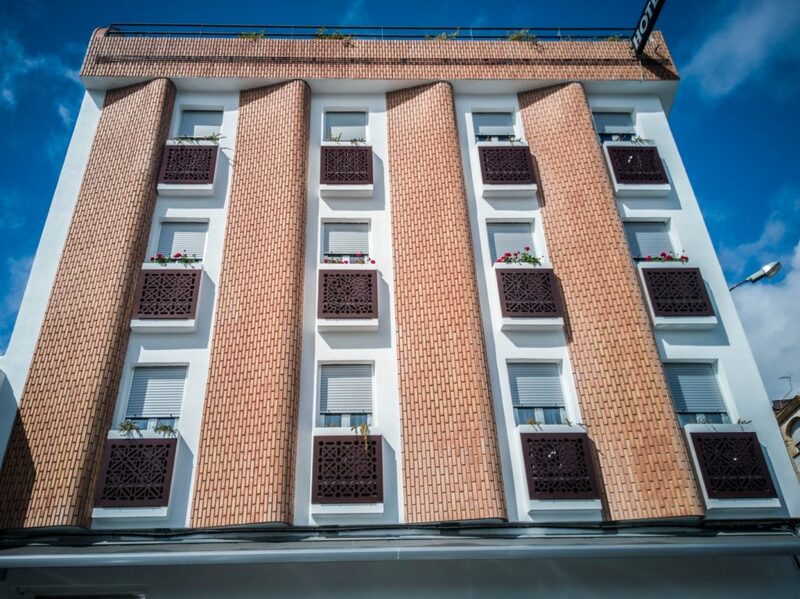 The Hotel Abadi has been completely renovated in 2018. It is located on Avenida de Libia, about 3 km from the city center and 5 km from the Mosque of Cordoba. The establishment has a restaurant, a 24-hour reception, a concierge service and free Wi-Fi. Viana Palace is 2.5 km away. The rooms at the Hotel are equipped with a flat-screen TV with satellite channels. The rooms have a private bathroom with a bath or shower. All rooms at Hotel Abadi feature air conditioning and a desk. 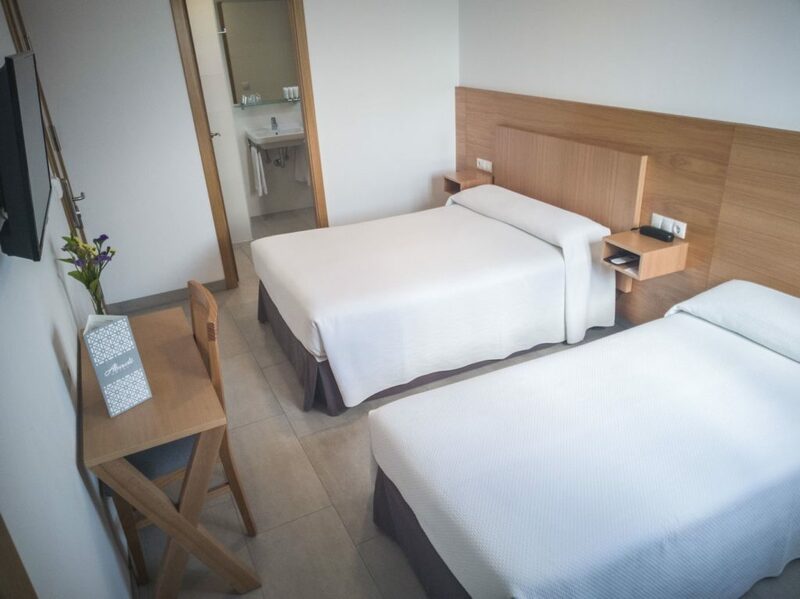 We have a wide variety of rooms to offer, single, double, double and family rooms. We also have cots. 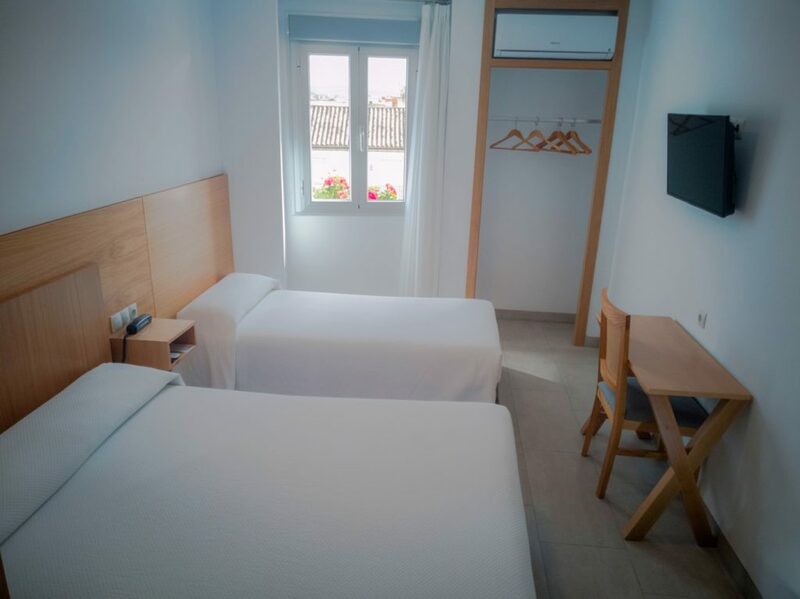 Rooms for one person Fully equipped, with TV, air conditioning, bathroom and much more. 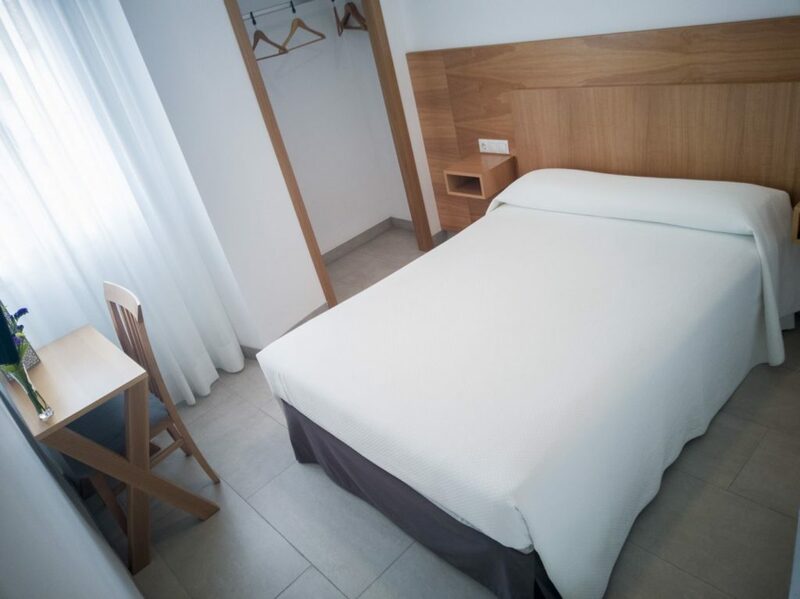 For two people, with the option to choose between a double bed or two single beds. 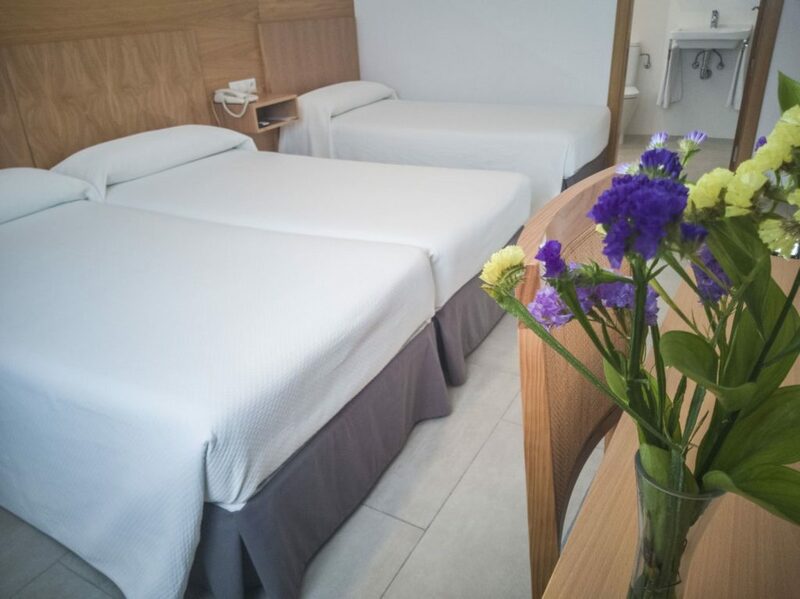 Rooms for three people with double bed and extra bed specially designed for families. We also have rooms for three people in single beds. Ideal for business or family trips. To enjoy Cordoba with total peace of mind with our luggage service during your stay. Great variety in coffees, teas and pastries. A space to relax or make time for meetings or visits. Menu or the menu of the day, made by ourselves and typical taste of Cordoba. We have a room for celebrations or meals for groups. We have garage and valet service. The tranquility of leaving your car in a safe place and guarded 24 hours. Available charging for electric vehicles. Your company meeting in the most comfortable way with our conference room. Check our offers and special packs to enjoy Córdoba with the 5 senses. See our special offers for companies and commercials. We have in our Hotel offers and special prices for long stays and groups. Book online today and enjoy a relaxing stay with us.